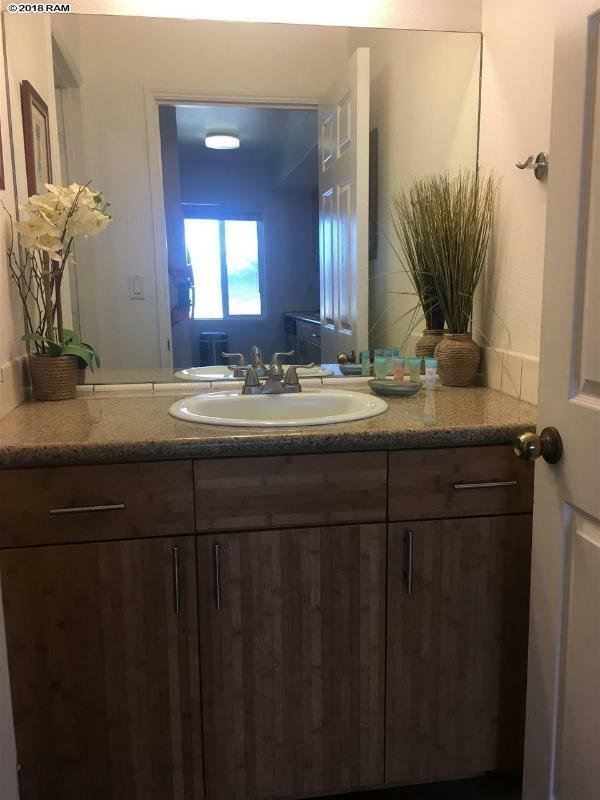 Rarely available end unit. 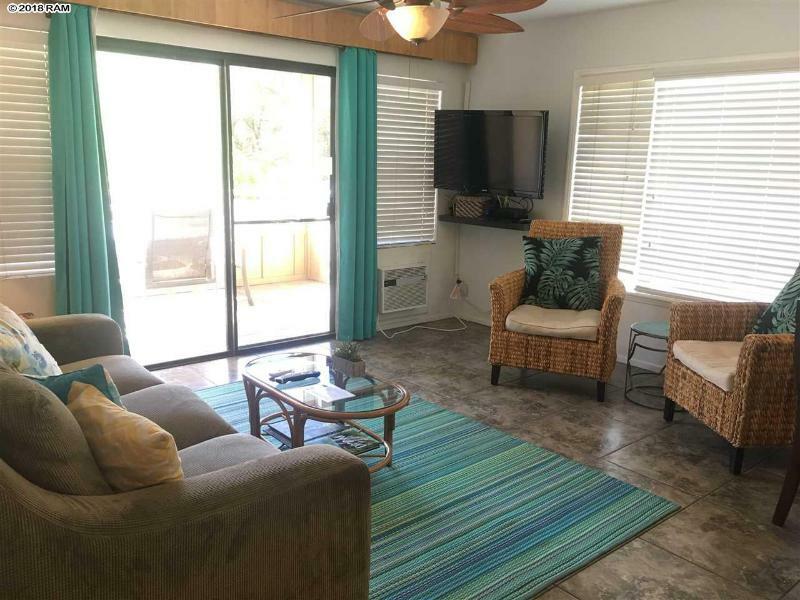 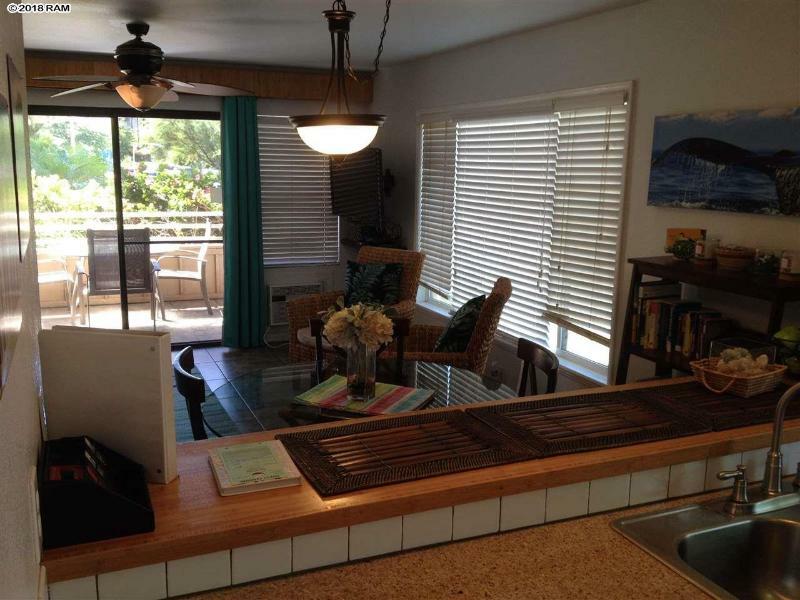 Extra windows and ocean views give this unit a spacious, light and bright feel. 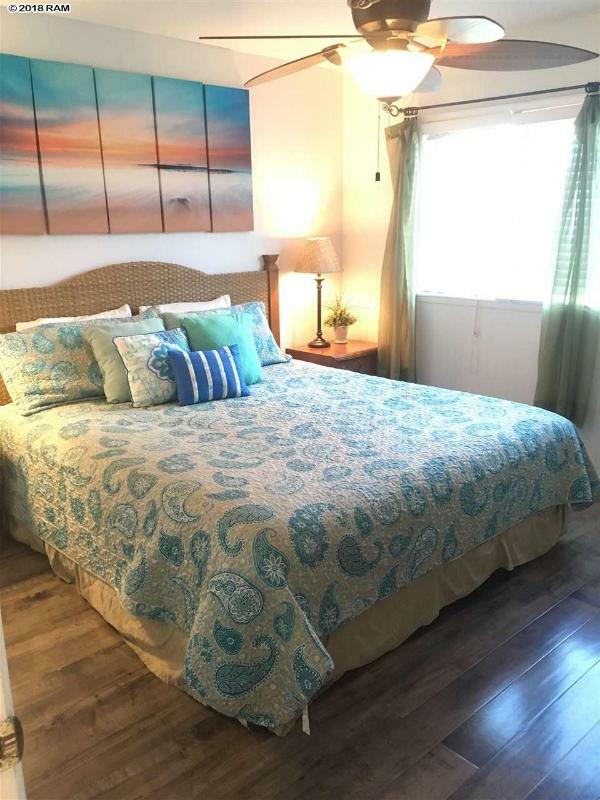 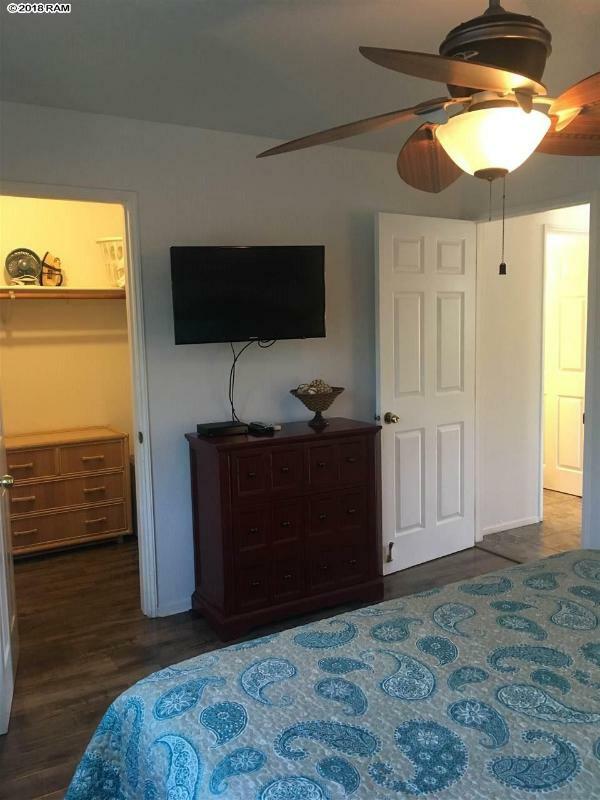 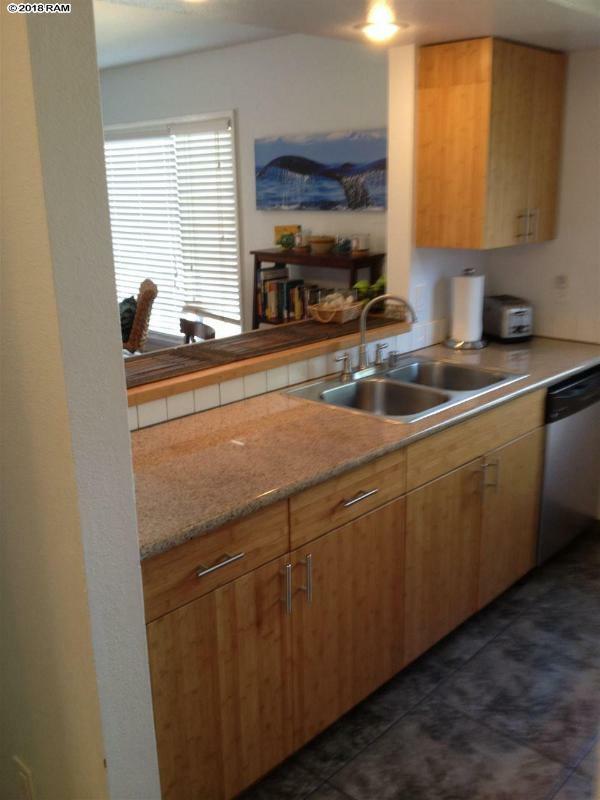 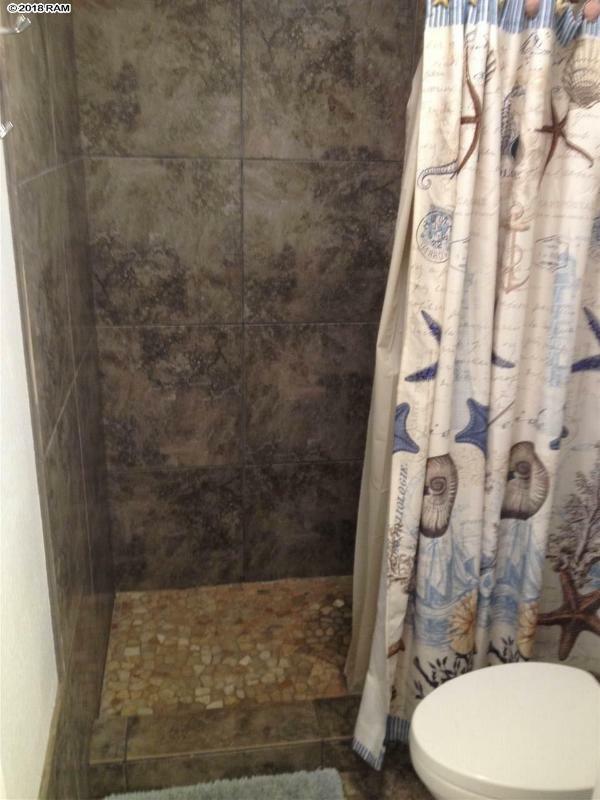 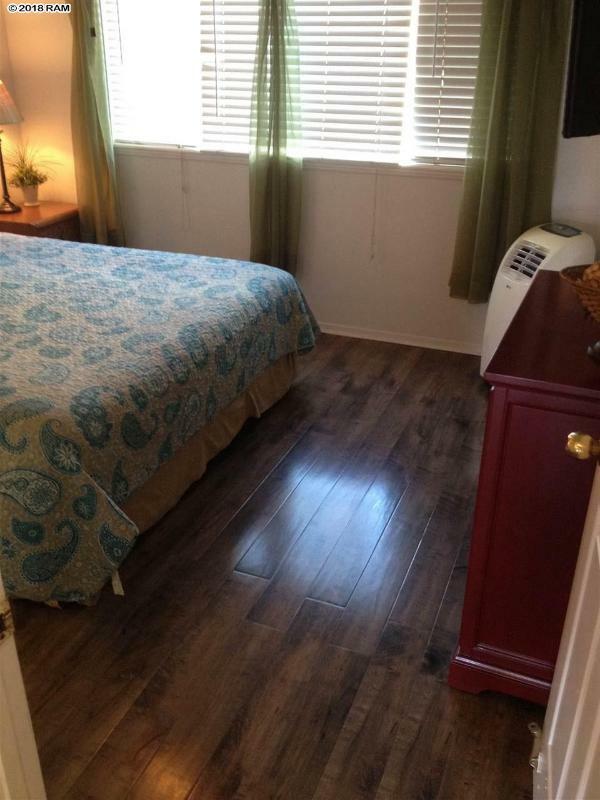 Nicely updated throughout with tile floors everywhere except the bedroom which has a laminate giving it a warmer feel. 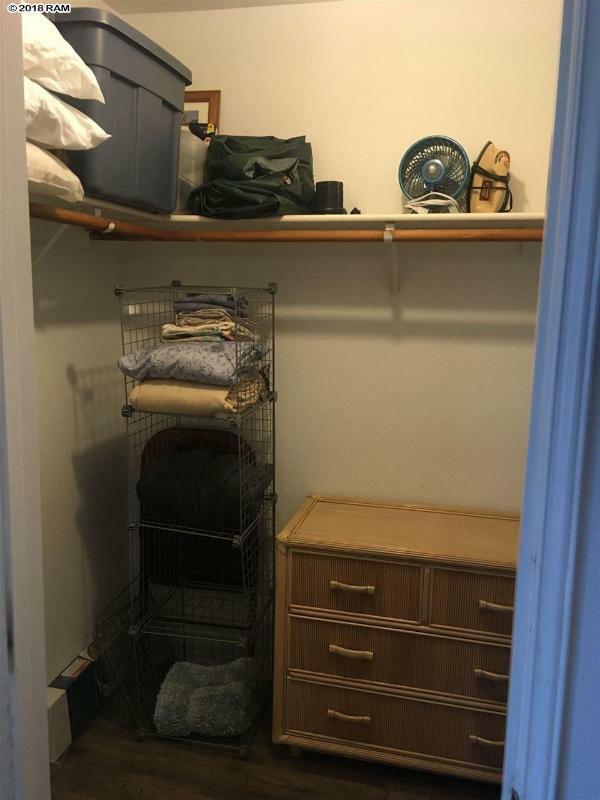 The bedroom has a large walk in closet in addition to lots of extra storage space in the unit. 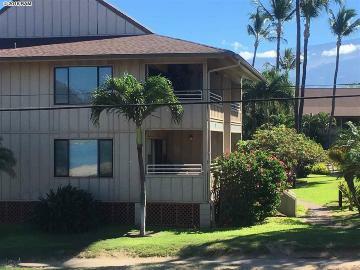 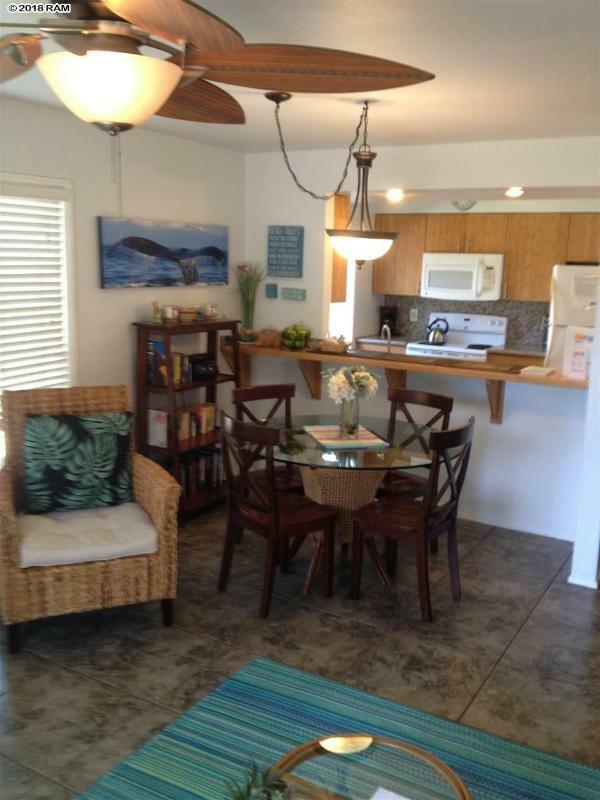 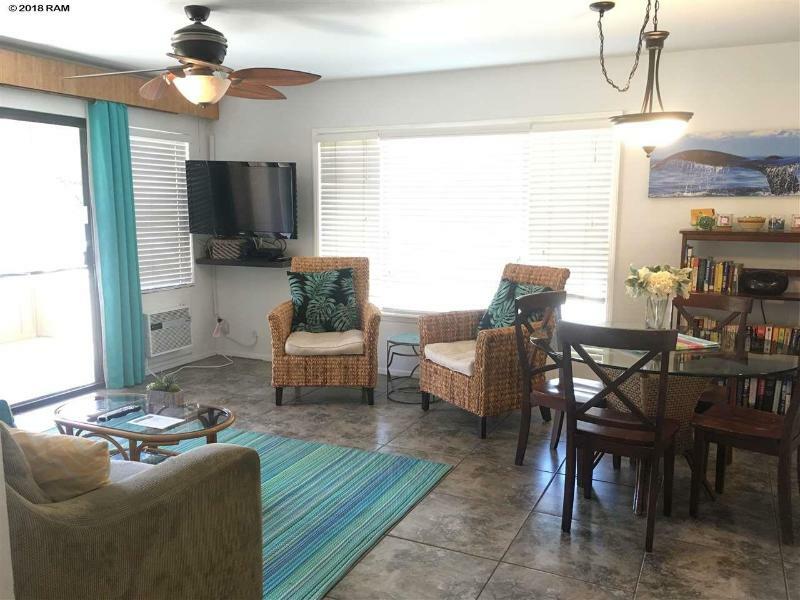 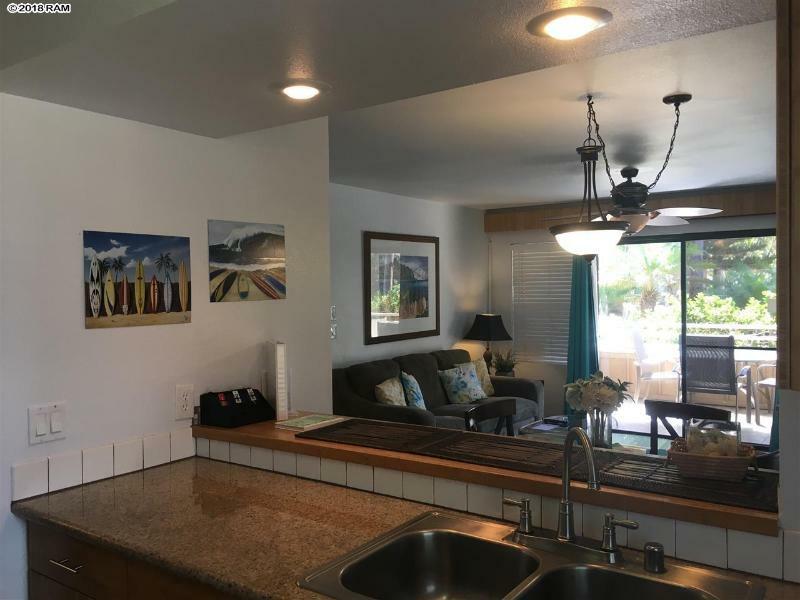 Granite counters and bamboo cabinets in the kitchen and bathroom and a large lanai to enjoy the ocean views and wonderful sunsets. 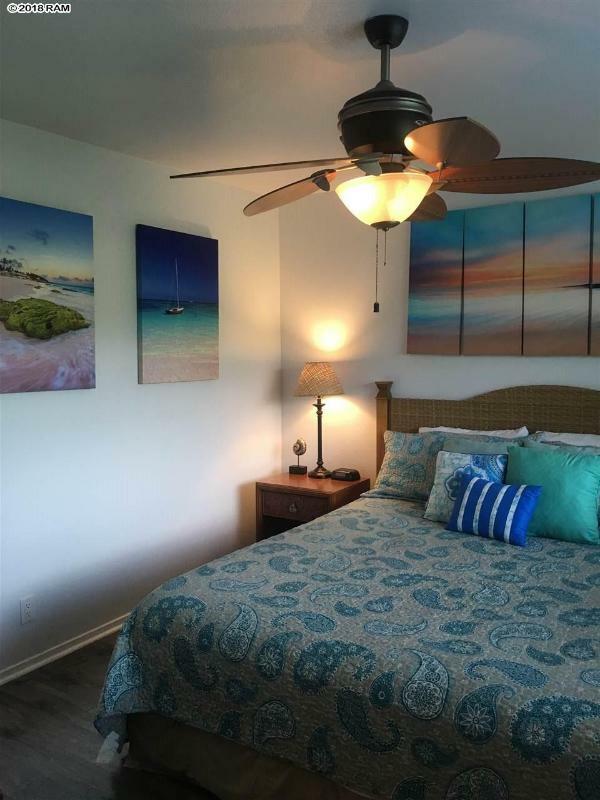 This is a complex that allows vacation rentals or can be used as a second home or a primary residence. 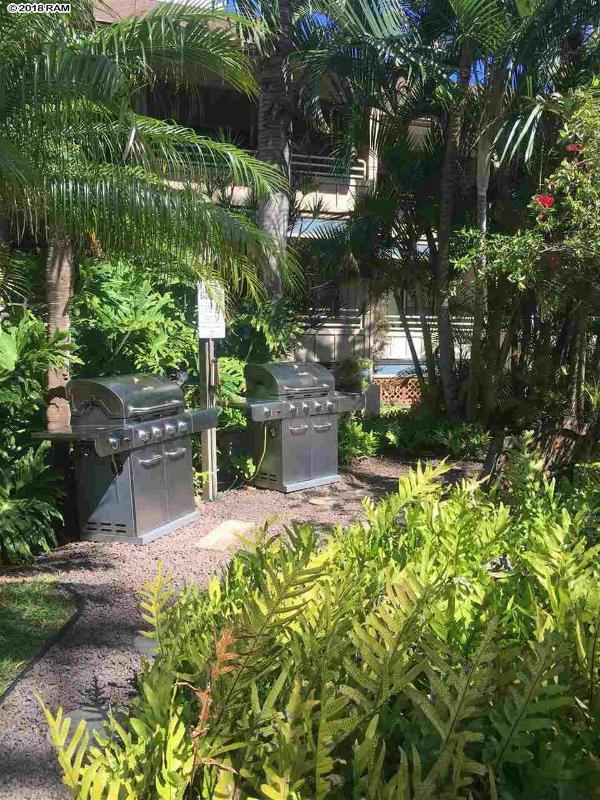 The grounds have a tropical ambiance with plantings, a pool, spa and a barbecue area and is just steps from the beach. 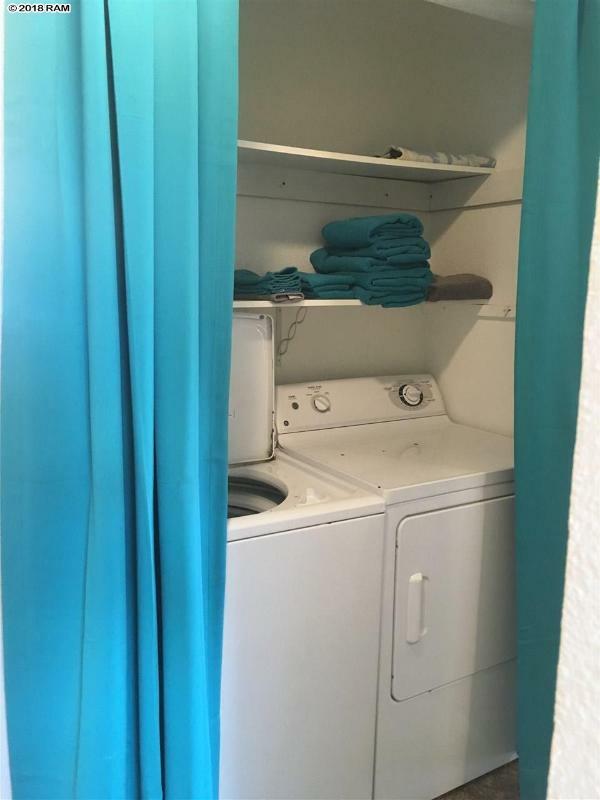 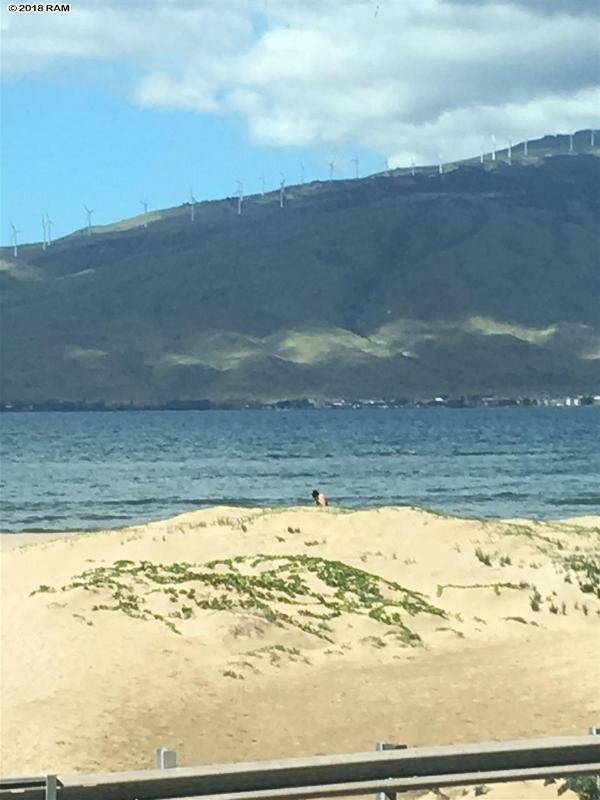 This unit is in a vacation rental program and is heavily booked. 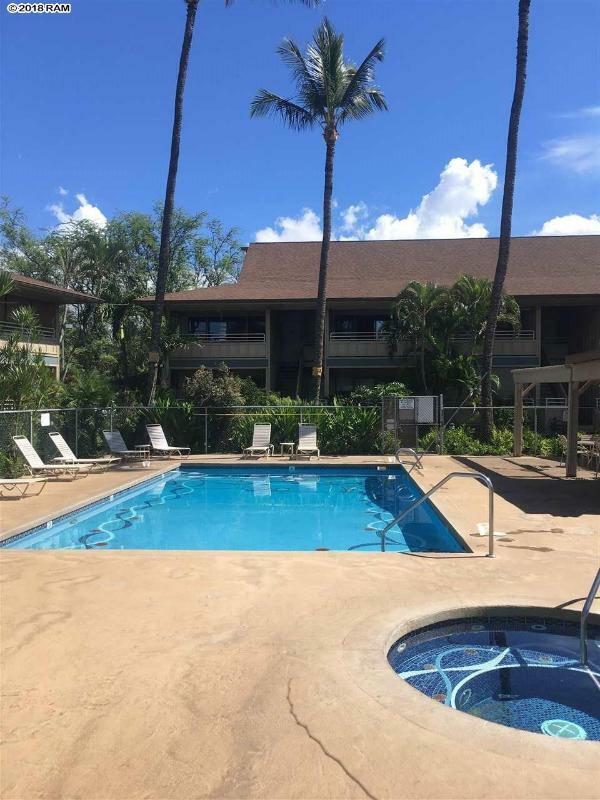 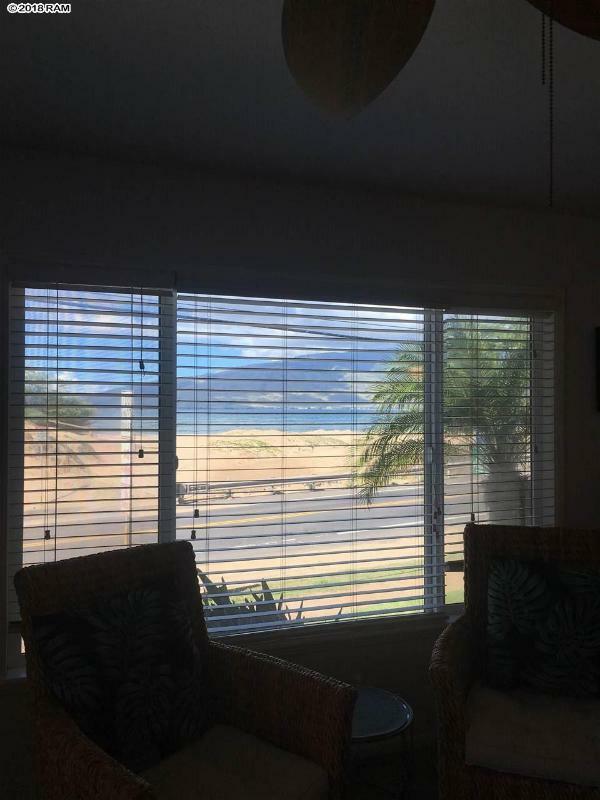 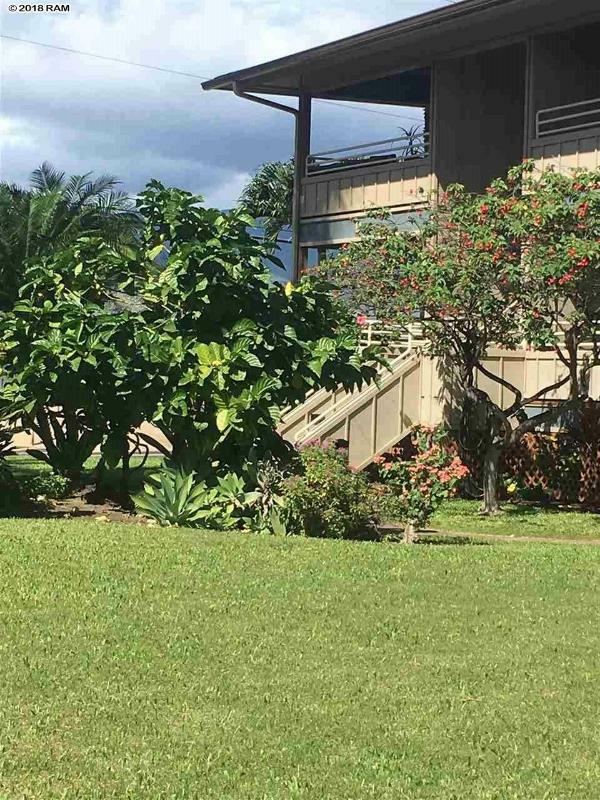 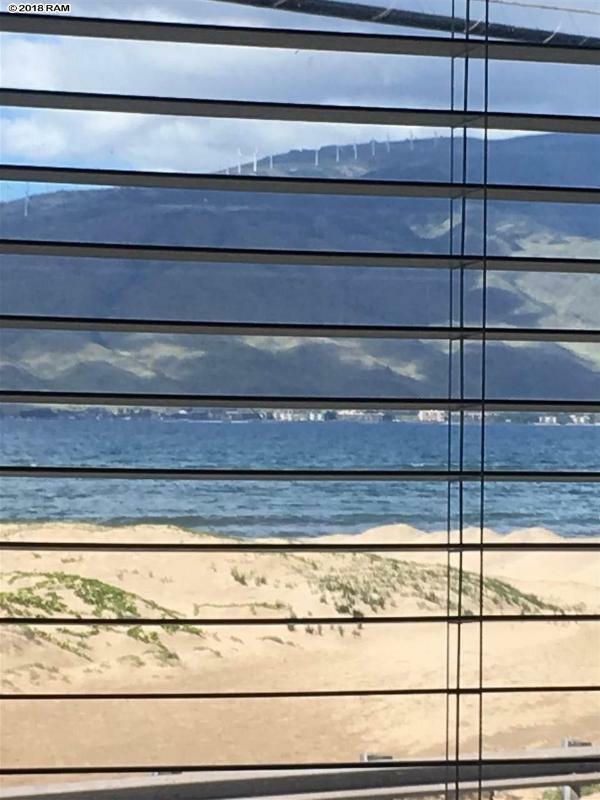 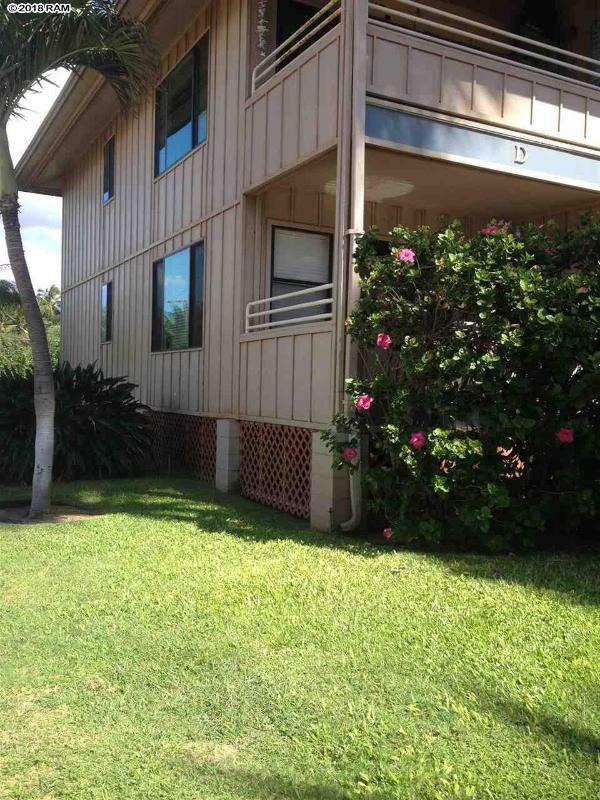 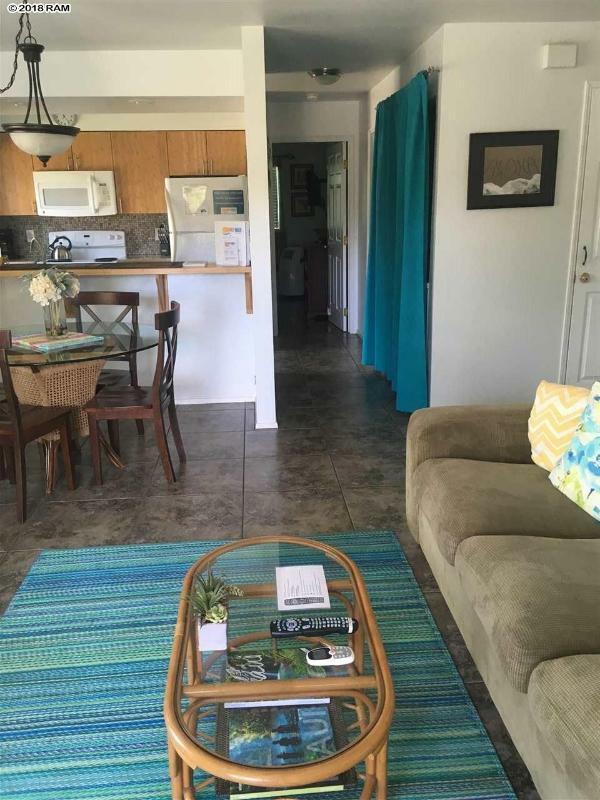 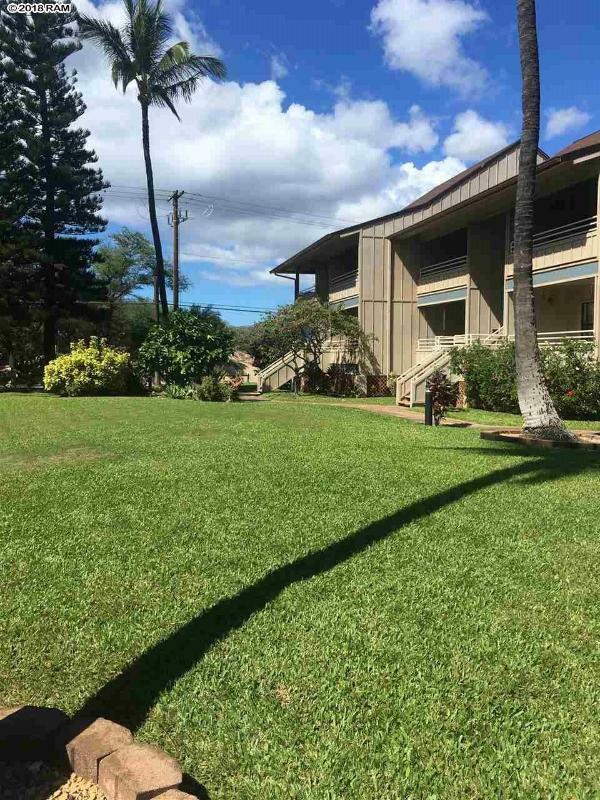 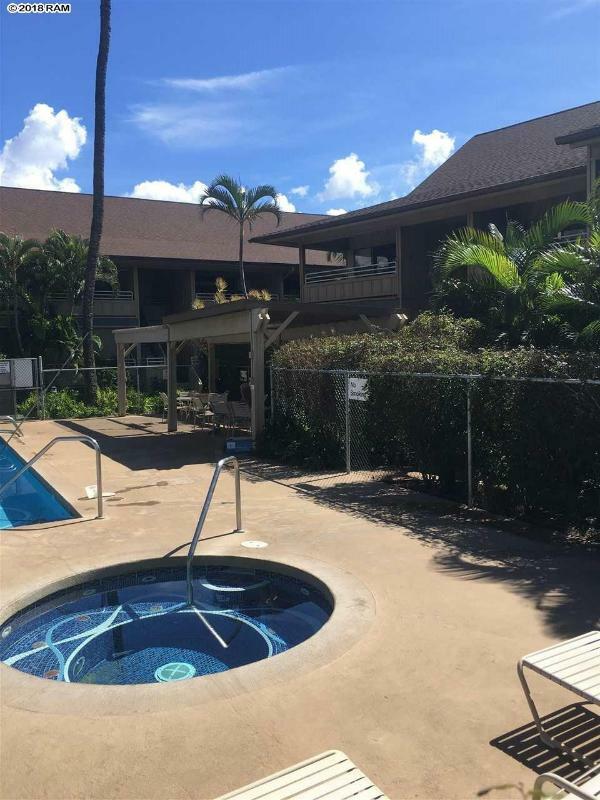 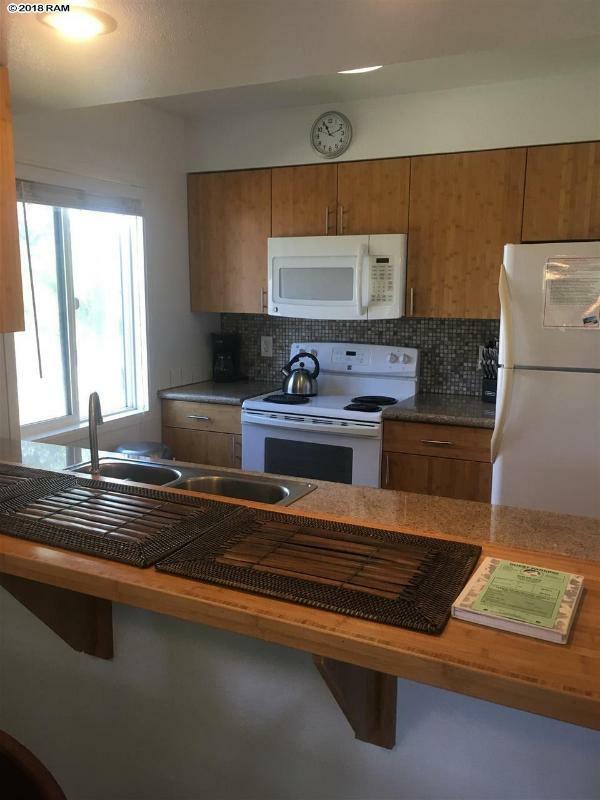 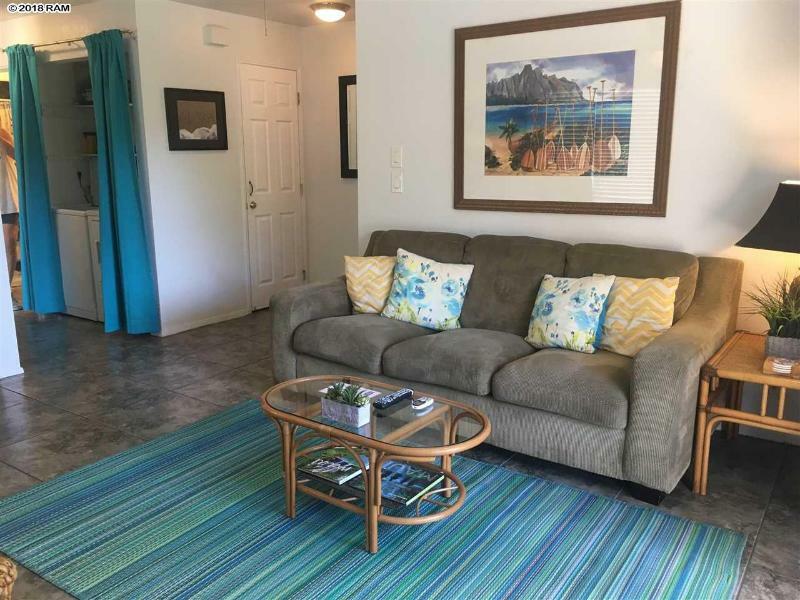 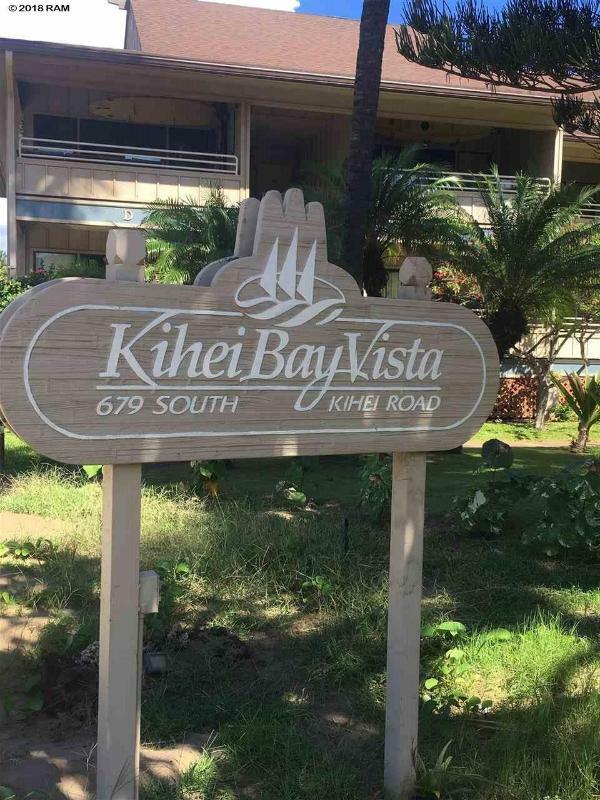 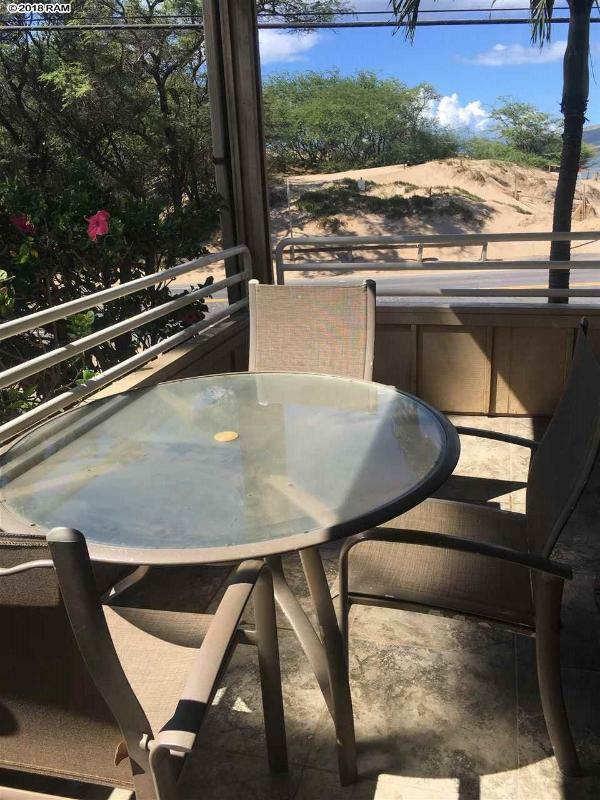 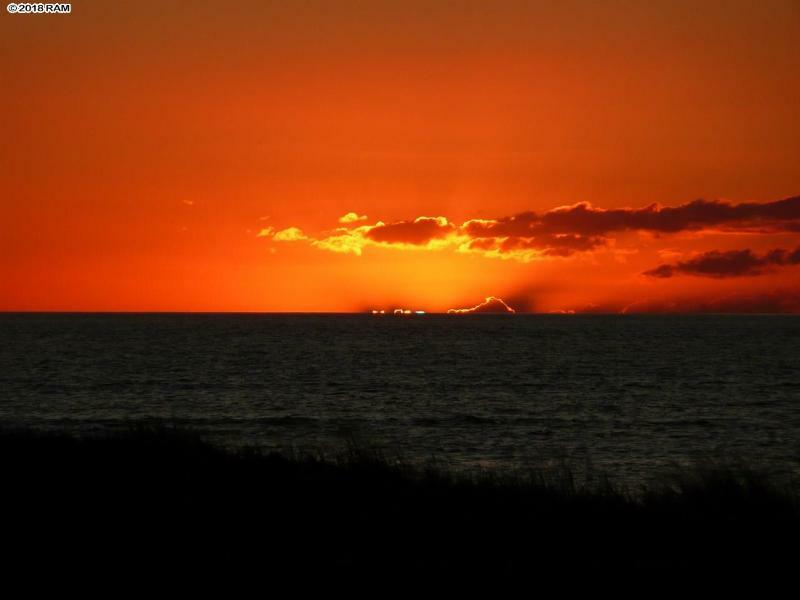 679 Kihei Rd, D112, Kihei, HI.